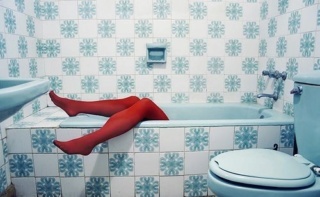 MARS: CURIOSITY u krateru GALE Vol II. Re: MARS: CURIOSITY u krateru GALE Vol II. Projektirana ruta do kraja misije. a. Damia Bouic ...samo sam ucrtao trenutnu poziciju, zbog orjentacije u prostoru. InSight postavlja aparaturu za utiskivanje palice do 5 m dubine. Ovo što vdimo je lepeza(fan) koju je nanijela voda, koja se slijevala sa Mt Sharp u zaleđe Vera Rubin Ridge. Naslage od kamenja su nastale pod pritiskom vode i kemijskim reakcijama. sol 2320 post drive....nagrubo slijepljeno. sol 2320 danas smo sol 2326. Kao da se nešto neočekivano događa. NASA's Curiosity Mars took this image with its Mastcam on Feb. 10, 2019 (Sol 2316). 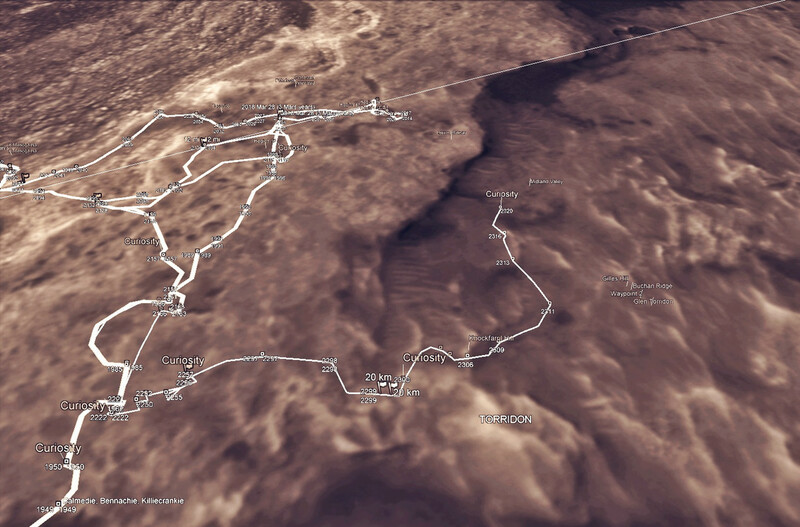 The rover is currently exploring a region of Mount Sharp nicknamed "Glen Torridon" that has lots of clay minerals. 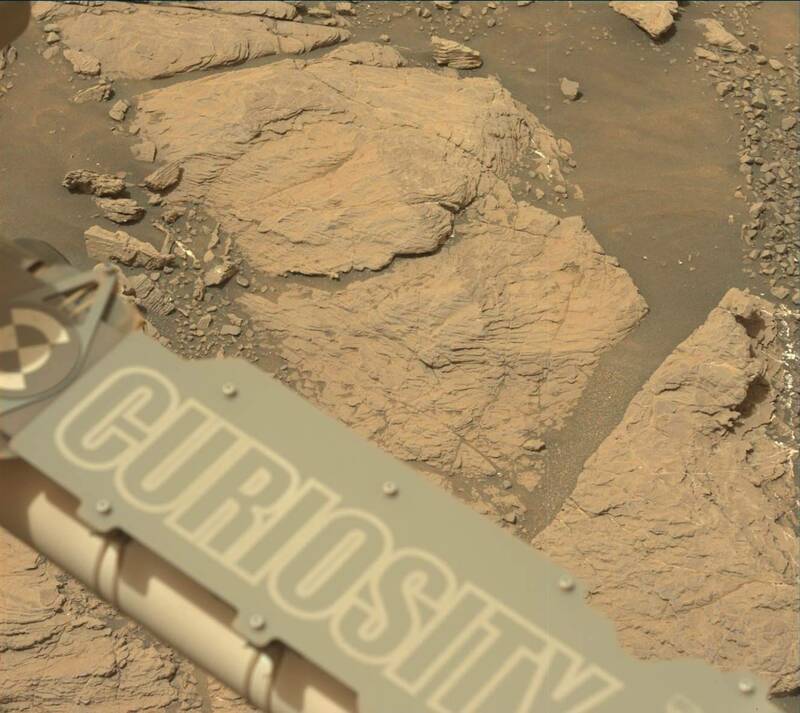 NASA's Curiosity rover is busy making new discoveries on Mars. 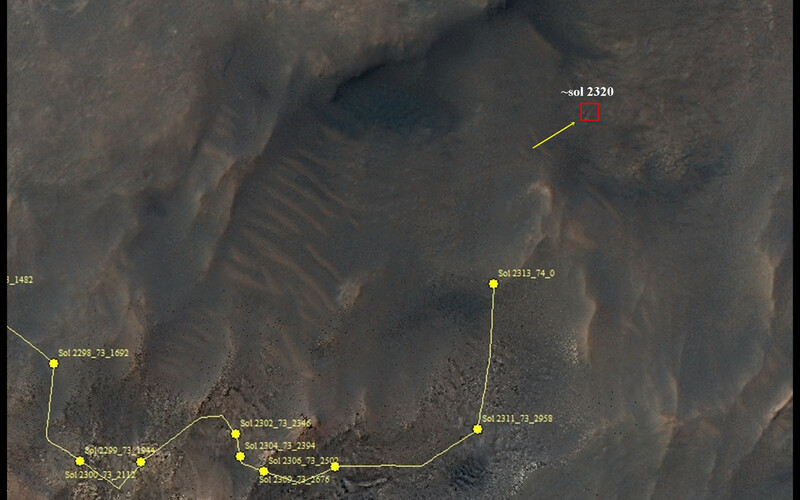 The rover has been climbing Mount Sharp since 2014 and recently reached a clay region that may offer new clues about the ancient Martian environment's potential to support life. Curiosity encountered a hurdle last Friday, when a hiccup during boot-up interrupted its planned activities and triggered a protective safe mode. The rover was brought out of this mode on Tuesday, Feb. 19, and is otherwise operating normally, having successfully booted up over 30 times without further issues. Throughout the weekend, Curiosity was sending and receiving technical data, communicating with the team in order to help them pinpoint the cause of the issue. "We're still not sure of its exact cause and are gathering the relevant data for analysis," said Steven Lee, Curiosity's deputy project manager at NASA's Jet Propulsion Laboratory in Pasadena, California. 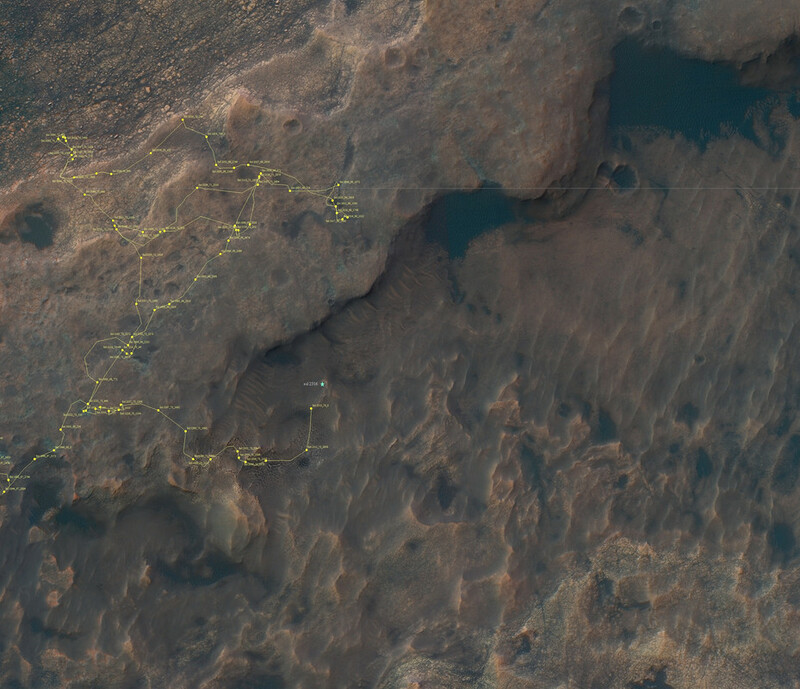 JPL leads the Curiosity mission. "The rover experienced a one-time computer reset but has operated normally ever since, which is a good sign," he added. "We're currently working to take a snapshot of its memory to better understand what might have happened." Out of an abundance of caution, Lee said, science operations will remain on hold until the issue is better understood. "In the short term, we are limiting commands to the vehicle to minimize changes to its memory," Lee said. "We don't want to destroy any evidence of what might have caused the computer reset. As a result, we expect science operations will be suspended for a short period of time." Curiosity is one of two NASA spacecraft actively studying the Martian surface. InSight, a stationary lander, reached the planet on Nov. 26; Opportunity, which ran for more than 14 years, has completed its mission. 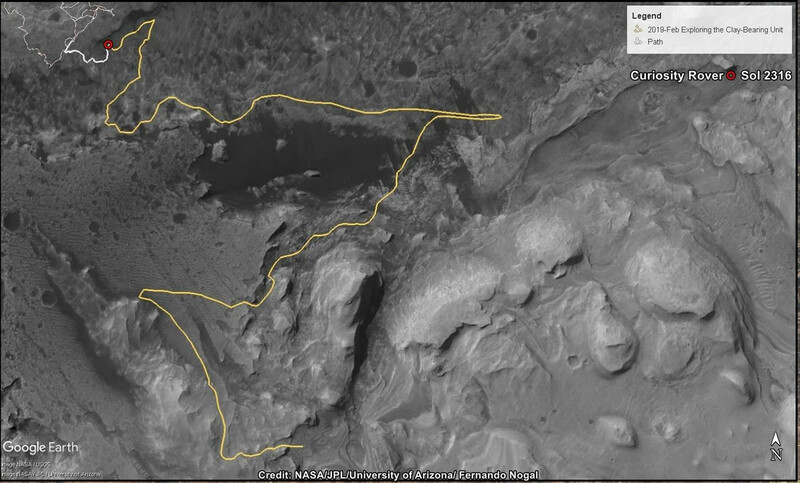 Curiosity has been exploring a region — dubbed "Glen Torridon" — where clay minerals can be seen from orbit. Clay minerals, which form in water, are especially interesting to the rover's science team. The rover was designed specifically to study ancient environments that could have supported life, and water plays a key role in determining that. While the engineers address the computer reset, the science team will continue studying the images and other data that have been collected from Glen Torridon. A potential drill location has been sighted just 656 feet (200 meters) away. 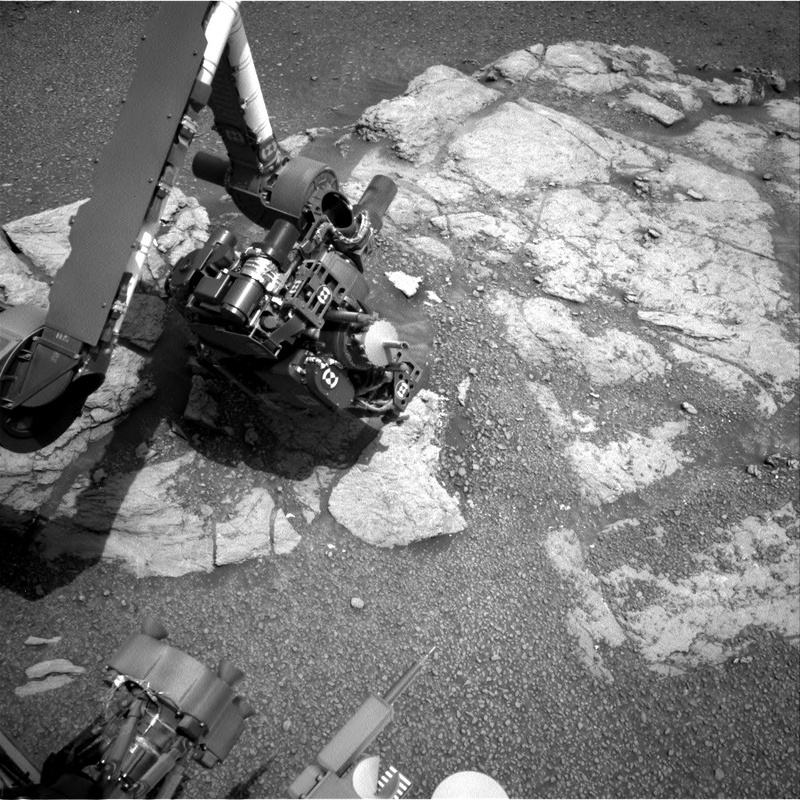 "The science team is eager to drill our first sample from this fascinating location," said JPL's Ashwin Vasavada, Curiosity's project scientist. 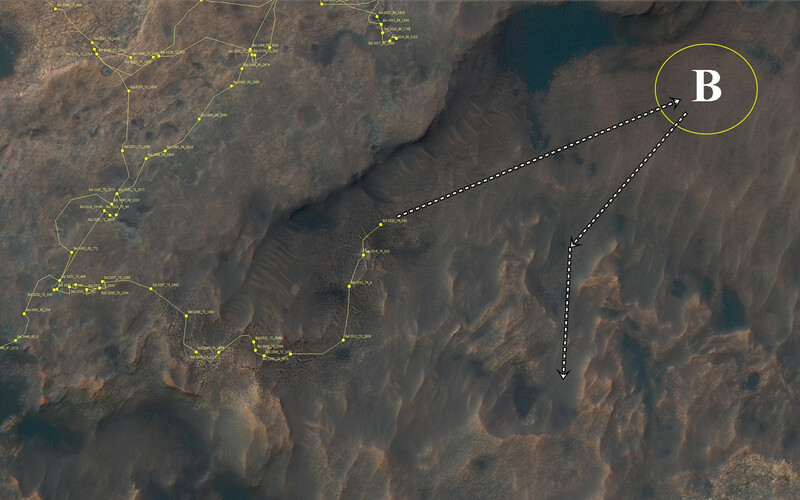 "We don’t yet understand how this area fits into the overall history of Mount Sharp, so our recent images give us plenty to think about."